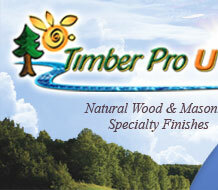 For cleaning log homes, cedar siding or other wood siding, and fence or deck cleaning. Also cleans concrete and aggregate, asphalt driveways or painted siding. Timber Pro Clean & Brite is a specially formulated professional strength cleaner designed for all exterior wood surfaces. Clean & Brite will remove tannin stains, dirt, mild greying, and environmental dirt from new wood. After cleaning with Clean & Brite the wood surface is ready for finishing. Clean & Brite is also an excellent cleaner to keep your exterior coatings looking like the day they were applied and is safe to use for exterior finishes in good condition. masonry around the house from any dirt or mold build-up. Professional Cleaning Strength: Cleans wood surfaces from tannin stains, mould, mildew and even mild greying. 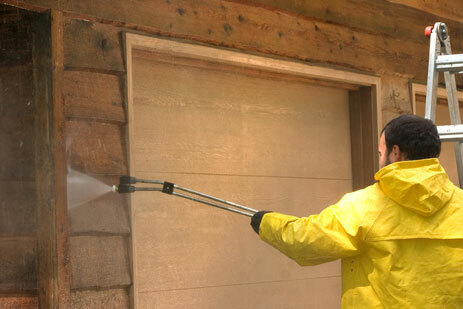 Versatile: Can be used on both exterior wood as well as concrete, stone and masonry. Safe For Existing Finishes: Can be used to clean existing finishes in good condition to remove dirt, mould and environmental pollution. Easy To Use: Clean & Brite can be applied easily with a low pressure garden pump sprayer and easily rinsed off with a garden hose after its activation period.